As we are aware most freshwater systems in Europe are threatened by a variety of stressors (organic and inorganic pollution, nanomaterials, microplastics, dams, water abstraction, channelization, changes in land uses, climate variability, invasive species and pathogens). Stressors are of diverse nature but cause adverse effects on organisms and ecosystems. Ultimately, these effects threaten water quality and biological diversity of European water bodies, which has important economic consequences. I do believe that GLOBAQUA has contributed a lot to better understand and prioritize the so-called multiple stressor situations. Many results are already available in the form of open access publications in the literature. But the so-called GLOBAQUA Factsheets addressed to policy makers and the public were also prepared. 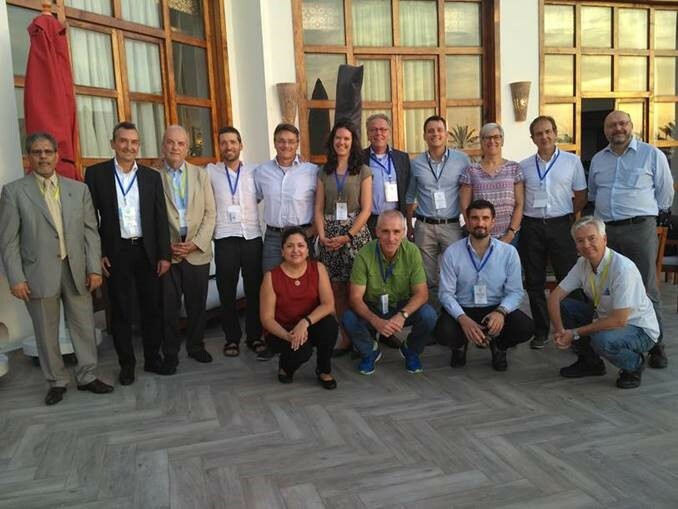 GLOBAQUA is now heading towards the final conference in Barcelona, next December and has just had a conference and board meeting in Agadir, in early October. Now it is time to collect and integrate all information and experiments performed during all these four and half years that we have been working together. I should not forget the strong links with our sister projects MARS and SOLUTIONS. The exchange of ideas and results between these three projects steadily increased along the duration of the project and I should say that I am very proud of this. Bridging the scientific results of these three projects with the EU water policy will be of great help to better understand and improve the quality of freshwater systems in Europe and stop biodiversity loss.